COLLIN COUNTY (CBSDFW.COM) – The man who kidnapped Christina Morris more than two years ago learned his fate today. Earlier this week Enrique Arochi waived his right to a jury sentencing and this morning Judge Mark Rusch handed down a punishment of life in prison. Prosecutors started the sentencing hearing by asking Judge Rusch to sentence Arochi to life… and they got their wish. There was a packed courtroom, consisting of several members of Morris’s family but no one publically there for Arochi, when the sentence was handed down. Also during victim impact statements, stepmother of Christina Morris, Anna Morris made an impassioned plea to Arochi. “Please I beg you, let me bring my daughter home. Let us bring Christina home,” she said through tears. “If there is anything left in you — in your soul — that has any care or compassion for anything or anyone, you will tell me where she is,” she continued. “And if you choose not to, I don’t think there will ever be forgiveness for you in this life or the next one. Because that’s an evil that — just — you can’t fix. If you can live your life and not tell us where she is, you continue to torture everyone in this room. Are you that evil? Is there any man left in you?” Morris said before leaving the stand. Before the sentence was handed down prosecutors also presented details from another case involving Arochi being accused of sexually assaulting a 16-year-old. Three detectives testified to establish that Arochi had a pattern of sexually deviant behavior and an interest in torture. FOX 4 News is live now. 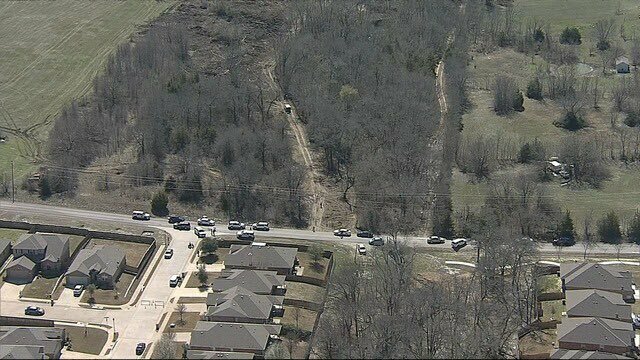 ANNA, Texas - Police are investigating the discovery of a body in an area where new homes are being built in Anna. 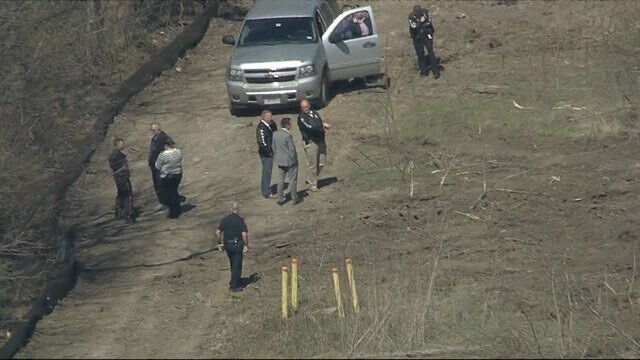 FOX 4 talked to construction workers who said they found the human remains in an area near Black Willow Trail and Taylor Boulevard. They had gone down a remote dirt road to clear some brush. They uncovered what appeared to be the skeleton of a woman under some leaves. The workers said they believe the body belonged to a woman because she seemed to be wearing a dress and had female undergarments. Investigators with the Collin County Sheriff’s Office, Anna Police Department and Plano Police Department are now at the scene collecting evidence. 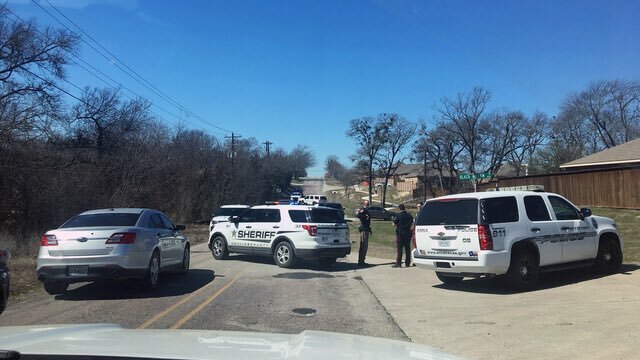 Lt. Nick Bristow with the sheriff's office said the body was transferred to the Collin County Medical Examiner's Office for a positive identification. He would not answer any questions or speculate about the identity of the remains. 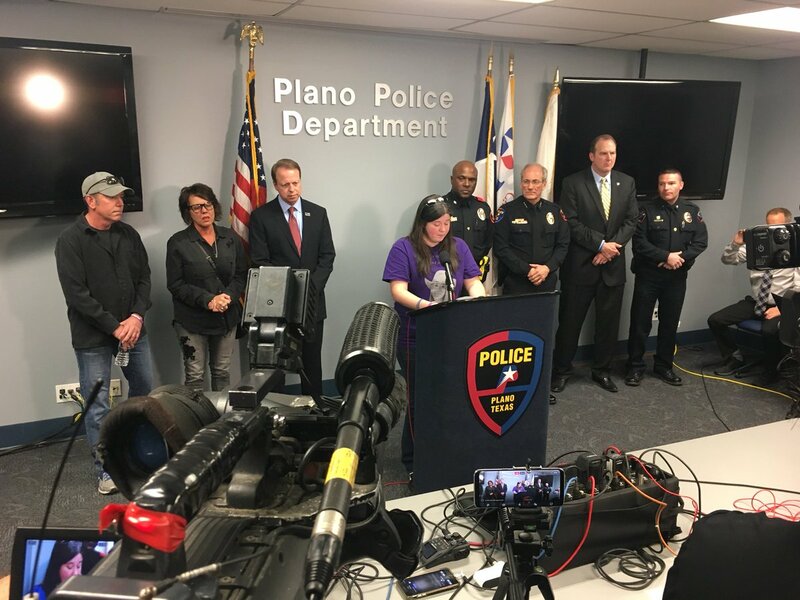 Lt. Bristow admitted Plano police were called in because that department has been working a very high-profile case involving a missing woman. The remains were found in an area where authorities have searched extensively for Christina Morris. Morris disappeared on August 30, 2014. She was last seen with a one-time acquaintance, Enrique Arochi, leaving the Shops at Legacy in Plano. Arochi is now serving a life sentence for her kidnapping. Prosecutors said her DNA was in the trunk of his car, but he has denied any wrongdoing. Plano police confirmed Morris' parents were notified about the discovery just in case. 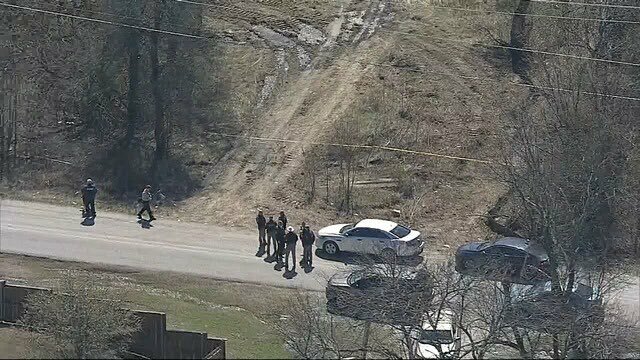 BREAKING: Remains have been found near the Anna/Collin County line, in the same area where investigators have been searching for #ChristinaMorris. @PlanoPoliceDept among departments on scene. @Fox4Natalie on scene now. 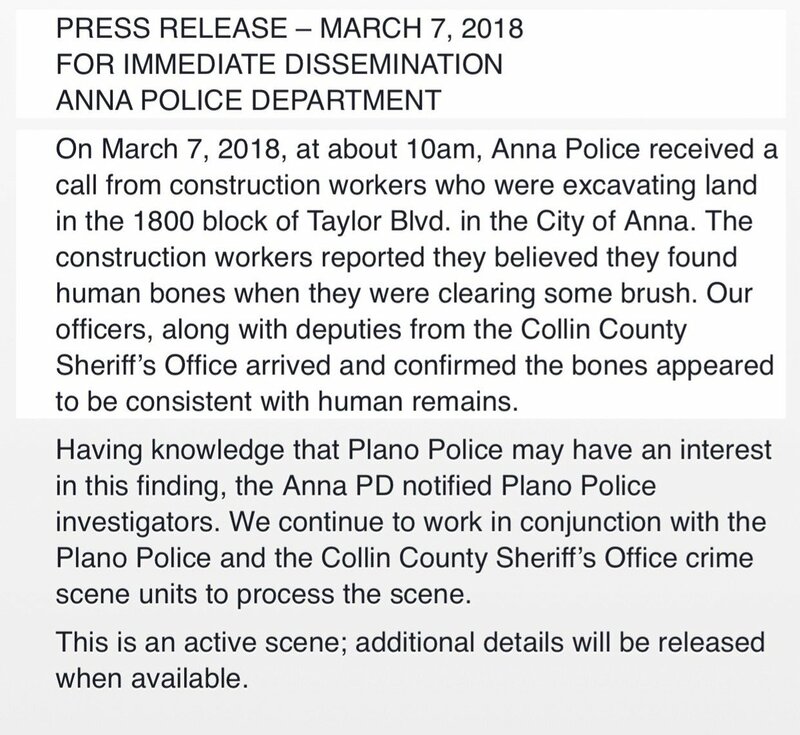 Statement from Anna Police on discovery of human remains with a reference to interest by Plano Police who are still searching for Christina Morris. Authorities said it was too soon to know whether the remains might be those of Morris, who was kidnapped after last being seen entering a parking garage at Plano's Shops at Legacy on Aug. 30, 2014. But the location of the remains, in a wooded area south of Taylor Boulevard, is less than a mile from a cell tower that connected with Enrique Arochi's phone the day after Morris went missing. The area where the remains were found is part of a 55-acre lot where a housing development is planned. A crew clearing trees came across the remains just before 10 a.m. Wednesday. Anna police Sgt. Chad Butler said he and responding officers saw what were believed to be human remains on the east side of a creek 50 to 60 yards south of Taylor Boulevard near Mesquite Lane. Zeke Fortenberry, the lead prosecutor in Arochi's kidnapping trial, now works in private practice. He said searchers logged thousands of hours looking for Morris. "How did we miss her?" he asked. "We searched and searched and searched." 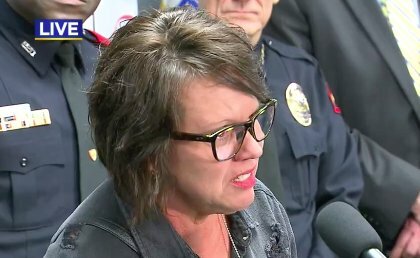 Authorities involved in the Morris case have been alerted several times in recent years when bones or human remains have been found in the Dallas-Fort Worth area. Fortenberry said this time seems more promising because of the location in Anna and the evidentiary link to Arochi. In addition to the cellphone ping, Morris' DNA was found in the trunk of Arochi's Camaro. If the remains do belong to Morris, Fortenberry said, "it confirms what I believed all along — he killed her." On Wednesday afternoon, Christina Morris' father, Mark Morris, showed up at the scene in Anna surrounded by friends who have joined him over the years in the search for his daughter, who was 23 when she went missing. He declined to comment. Family friend Robert O'Neil said he hoped this time to find some answers. Volunteers known as Team Christina have concentrated their search in the Anna area since Arochi's trial. They meet nearly every weekend. Their most recent search was Saturday. "If Christina is not with us any more, we want her to be found so her family can have some closure," he said. Paul Thomas often goes hunting on the land where the remains were found. He said he even went searching for Morris on his own after hearing about her disappearance on the news. He said he looked along what was then a newly installed sewer line and checked every manhole on the west side of the creek. "It's disturbing," he said of Wednesday's discovery. Marietta Schell has lived on Taylor Boulevard near where the body was found since 1984. She said the area near the trees is very secluded and people trespass there regularly. One time she even ran into the volunteers from Team Christina. "They were so close," Schell said of the searchers. "That's what's really sad." Human remains found on Wednesday in Collin County are Christina Morris, sources tell FOX4. A press conference by Plano police is set for Thursday afternoon to discuss the case. The remains were found in an area where authorities searched extensively for Morris after she disappeared on August 30, 2014. She was last seen with a one-time acquaintance, Enrique Arochi, leaving the Shops at Legacy in Plano. The remains were found in an area where new homes are being built in Anna. Andy Mitchell and his brother were part of the crew clearing brush from the swath of land when something got his attention. “You could just see really up on the hillside over there up in a little opening, there was a skull laying there,” he said. Mitchell said the skull was near what appeared to be a woman’s dress and undergarments. Plano police will give a major update on the remains that were found in Anna yesterday. FOX 4 News will stream the news conference live at 4:30 p.m.
Remains preliminarily identified as Christina Morris, a 23-year-old woman presumed dead since she disappeared Aug. 30, 2014. The Collin County Medical Examiner's Office will confirm the person's identity and cause of death. Field had been searched previously in Morris investigation; nearby cell tower pinged convicted kidnapper's phone after her disappearance. Officals are expected to hold a news conference at about 4:30 Thursday. Live video from that news conference will appear in the player above. Skeletal remains unearthed Wednesday in a field in Anna have been preliminarily identified as Christina Morris, a 23-year-old woman who has been presumed dead after being reported missing in August 2014. Morris' mother, Jonni McElroy, placed flowers at the site Thursday morning where the remains were found. While the Collin County Medical Examiner's Office has not officially confirmed the identity of the remains, evidence found at the scene is believed to have assisted in the identification process. Morris was last being seen leaving The Shops at Legacy with friend Enrique Arochi on Aug. 30, 2014. Following Morris's disappearance, Arochi maintained that after he walked into the parking garage with Morris that the two separated and he never saw her again. Investigators later found Morris's DNA in Arochi's trunk; he was eventually sentenced to life in prison for her kidnapping. Should the remains be confirmed by the medical examiner to be Morris, and should her cause of death be ruled homicide, officials have not yet said what that may mean for Arochi. Investigators returned to the field Thursday morning to continue their investigation after multiple police departments guarded the area overnight. Officials said Wednesday the partial skeleton was found by a crew clearing brush and doing excavation work in a field along the 1800 block of Taylor Boulevard, about a mile east of U.S. Highway 75. The field is less than a mile from a cell tower that pinged Arochi's phone the day after Morris disappeared, The Dallas Morning News reported; officials confirmed the area was searched at least once before during the investigation into Morris' disappearance. Neighbors in the Anna neighborhood near where the remains were found are planning a prayer vigil for Thursday night. "I hope to see the street filled, obviously, and just neighbors coming together and expressing love and concern and compassion for a person we don't know. But we're all brothers and sisters in Christ, and I just need to feel that with my neighbors," said Lekeita McMillan. The vigil will begin at about 7:30 p.m. at the corner of Mesquite and Sweet Gum, north of Taylor Boulevard in Anna. Enrique Arochi is serving a life sentence for kidnapping #ChristinaMorris. Her mother posted this on Facebook overnight after human remains were found in Anna yesterday. The remains have not been publicly identified yet. "This, I must say, is the most difficult day I've faced in my entire life." -Jonni Hare, the mother of #ChristinaMorris fighting tears. Christina Morris has been found. 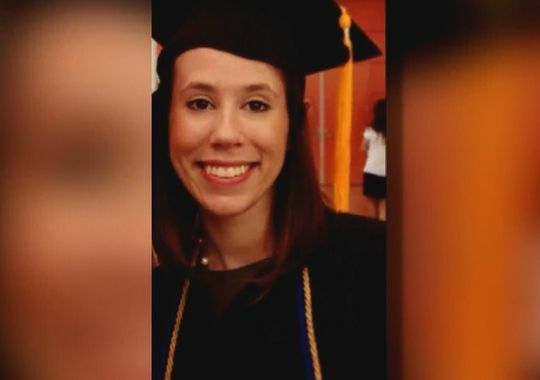 PLANO, Texas -- Plano police have announced skeletal human remains found in a brush area along a creek in nearby Anna, Texas, are those of Christina Morris, a 23-year-old Fort Worth woman who's been missing since 2014. Police Chief Gregory Rushin's Thursday announcement comes one day after a construction crew discovered the remains. Her family spoke publicly from the Plano Police Department, asking for privacy now that they finally have time to heal, CBS DFW reports. Calling it the "worst day of our lives," Christina's mother Joni Hare spoke of the 2,185 days that have passed since her daughter was last seen alive. Another one of Christina's relatives thanked all the people who have helped the family during their ordeal — from volunteer searchers, law enforcement, local media and many, many more from all over the country and globe. 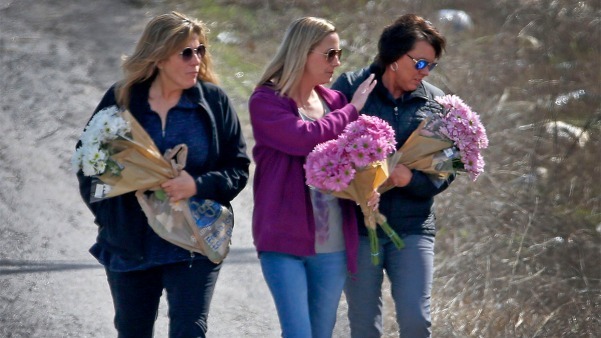 CBS DFW reported that on Thursday morning friends and members of Christina's family, including her mother, arrived at the scene where the remains were found. The group of women carried flowers and later stood hugging and consoling each other. The remains were discovered on Wednesday after an excavation crew began clearing brush for a new housing development. Andy Mitchell told CBS DFW that he and his brother were checking on the progress on the development project when they came across the bones and some other items. "It appeared to be some clothing laying there, but we didn't dig around because we knew they [police] would do their own investigation and we didn't want to hinder it in any way," he said. Page created in 6.196 seconds with 22 queries.